Abstract: This presentation reviews two developing and related themes in photonics. One is the development of metamaterials and metasurfaces. Metamaterials can possess properties that are qualitatively dissimilar from those of naturally occurring materials, such as possessing a negative value of the refractive index. These materials can also have exotic and very large nonlinear optics properties. Metasurfaces can be designed to be extremely sensitive to the handedness of circularly polarized light, and can be designed such that the light diffracted from the surface possesses exotic and controllable wavefront structures. These structured light beams have recently been shown to possess exotic properties of their own, such as vacuum propagation velocities differing from the light velocity c for plane waves. These beams can also be tailored in such a way that they carry orbital angular momentum, which can be used to apply a torque to mechanical objects and as a carrier of information in a classical and quantum telecommunication systems. Biography: Robert Boyd was born in Buffalo, New York. He received his B.S. degree in physics from MIT and Ph.D. in physics from the University of California at Berkeley. His Ph.D. thesis, supervised by Charles Townes, investigated the use of nonlinear optical techniques in infrared detection for astronomy. Professor Boyd joined the faculty of the University of Rochester in 1977 and in 2001 became the M. Parker Givens Professor of Optics and Professor of Physics. In 2010 he became Professor of Physics and Canada Excellence Research Chair in Quantum Nonlinear Optics at the University of Ottawa. His research interests include “slow” and “fast” light propagation, quantum imaging methods, nonlinear optical interactions, nonlinear optical properties of materials, and the development of photonic devices including photonic biosensors. Professor Boyd has written two books, co-edited two anthologies, published over 400 research papers (≈30,000 citations, Google H-index 71), and been awarded nine patents. He is the 2009 recipient of the Willis E. Lamb Award for Laser Science and Quantum Optics and the 2014 Quantum Electronics IEEE Award. 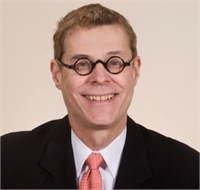 Professor Boyd is a fellow of the Society of Photo-optical Instrumentation Engineers (SPIE), the American Physical Society (APS) and of the Optical Society of America (OSA). He is a past chair of the Division of Laser Science of APS and has been a member of the Board of Directors of OSA. He has also served as the Chair of the Joint Council on Quantum Electronics (an alliance between APS, OSA and IEEE/PS). Professor Boyd has served as a member of the Board of Editors of Physical Review Letters and of the Board of Reviewing Editors of Science Magazine.